Home Mortgage Services was a brand new businesses taking over the client base of an older mortgage broker who was looking to retire. They initially considered using the website that the older broker had been using, but decided it’d be better to invest in a more modern website that would be easier to find and simple to use. 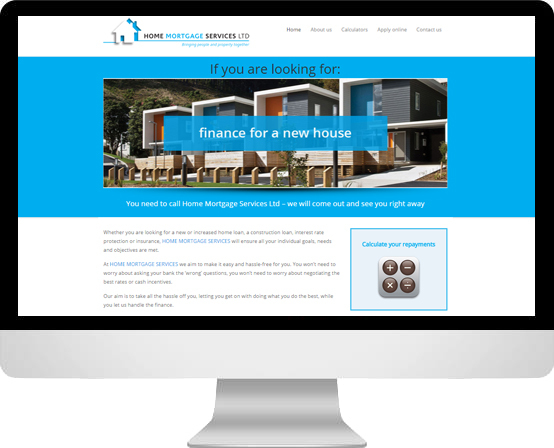 This custom-designed WordPress template lets them update their website as easily as editing a document, and even features a mortgage caulculator to help potential clients calculate their repayments.